I definitely agree. Erica, this is a super cute idea and so much fun! Great job Mom and Dad.... I love this Police Car!! 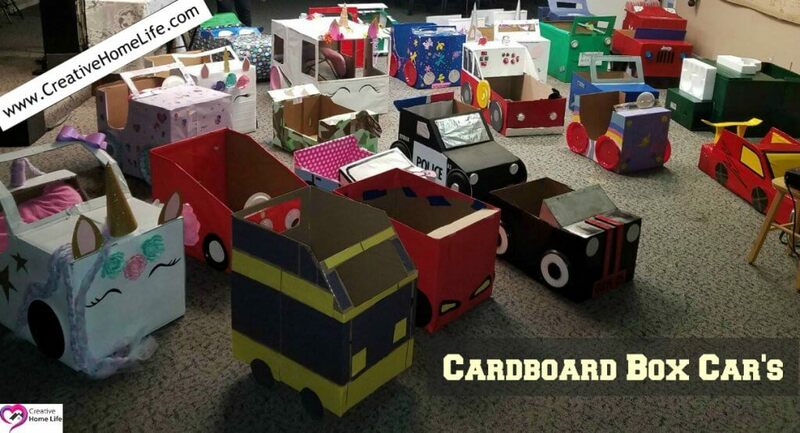 Paper cups (for tail and headlights and for the wheels. That’s what under the foil on the wheels). Pre-cut black and white letters. The Classroom of Cars set up for movie day! 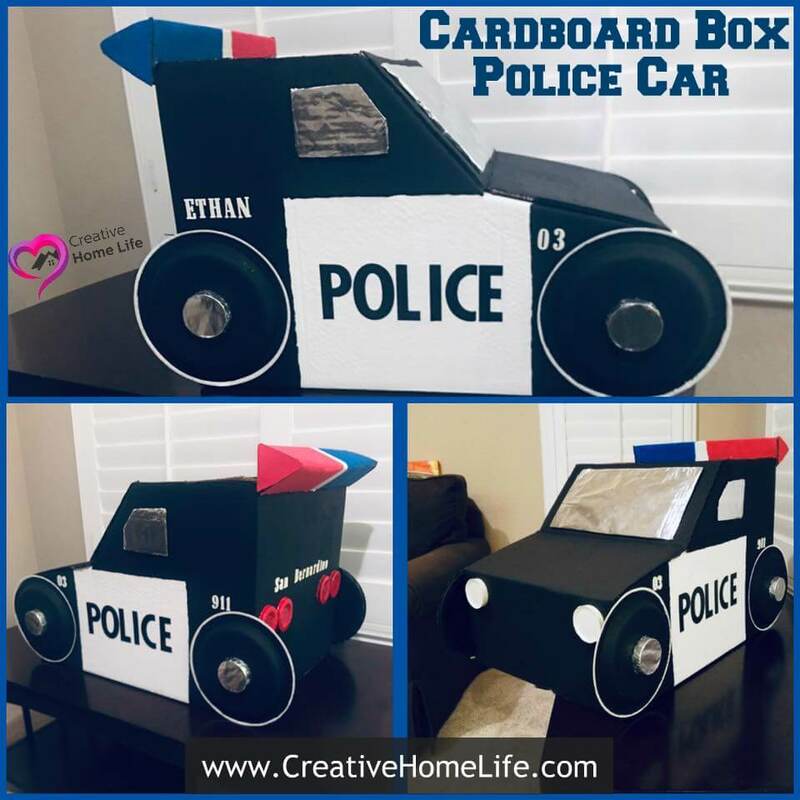 If you have any questions about Erica’s “Cardboard Box Police Car”, or anything else… Please feel free to message me or leave a comment.